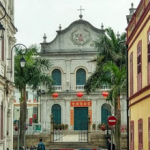 Macau has a long and rich Catholic tradition, and Catholic worshippers currently number around 30,000 (about 5% of the population). 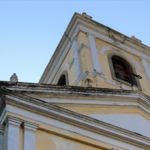 This heritage is reflected in the number of Churches spread across the peninsula and down into Taipa and Coloane. 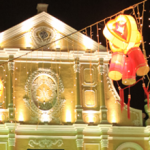 Macau is divided into a number of Parishes, each with their main Parish church. Alongside that are number of smaller churches and chapels dotted around. 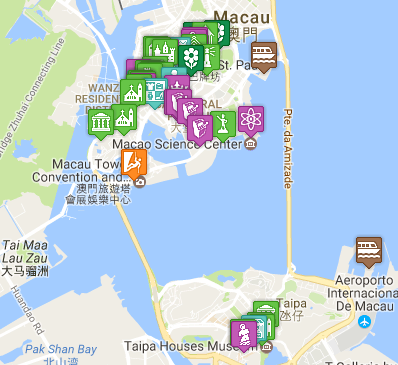 This list outlines the main ones you may want to consider visiting if you are planning a trip to Macau (even if you are not religious, they each have a part to play in Macau’s history and are interesting in their own right). 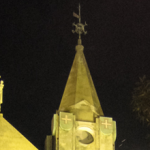 Our Lady of Penha Church (Capela de Nossa Senhora da Penha, 西望洋聖堂), which is dedicated to 'Our Lady of Penha of France' , was constructed in 1622 for the Augustinians. For many years it has served as a shrine for mariners about to embark on dangerous voyages. 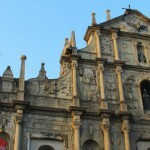 One of the most recognisable landmarks in Macau, the Ruins of St. Paul's (大三巴牌坊) are all that remains of a 16th century complex which included the Church of St Paul (Mater Dei) and St Paul's College. 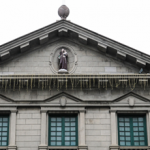 The college was one of the largest in Asia when it was first built, at a time when Macau was the main port in the Pearl River Delta (before being overtaken by Hong Kong). 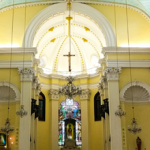 St Lawrence's Church (Freguesia de São Lourenço) is possibly the richest and most beautiful church in Macau, both for its decoration and the religious objects within it. 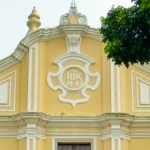 St. Augustine’s Church (Igreja de St. Agostinho, 聖奧斯定堂) sits on the square which takes it’s name, alongside other historic buildings including Dom Pedro V Theatre, St. Joseph’s Seminary and Church and the Sir Robert Ho Tung Library. 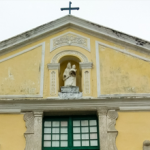 St. Lazarus' Church (望德聖母堂) is built on one of the oldest church sites in Macau, and is the main church of St. Lazarus Parish.